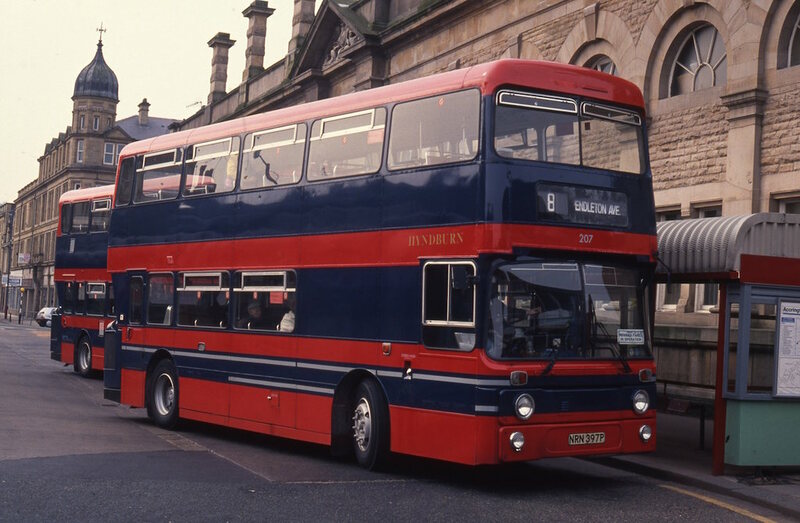 Although in the 1970s it was part of the National Bus Company Ribble had for many years been part of the BET group and like fellow former BET company Southdown it took the opportunity to acquire a large fleet of Atlanteans in addition to the more usual Bristol VR. 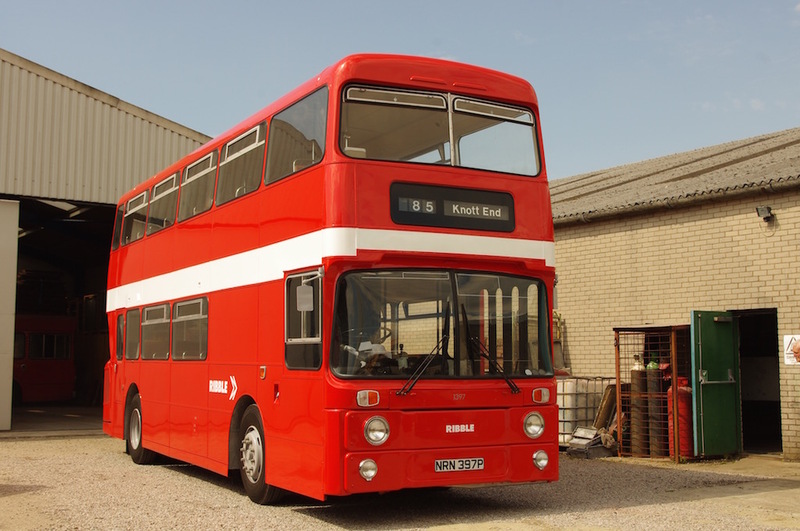 1397 was one of the final batch of AN68s with Park Royal bodies delivered in the mid-1970s, the total number eventually reaching 104. 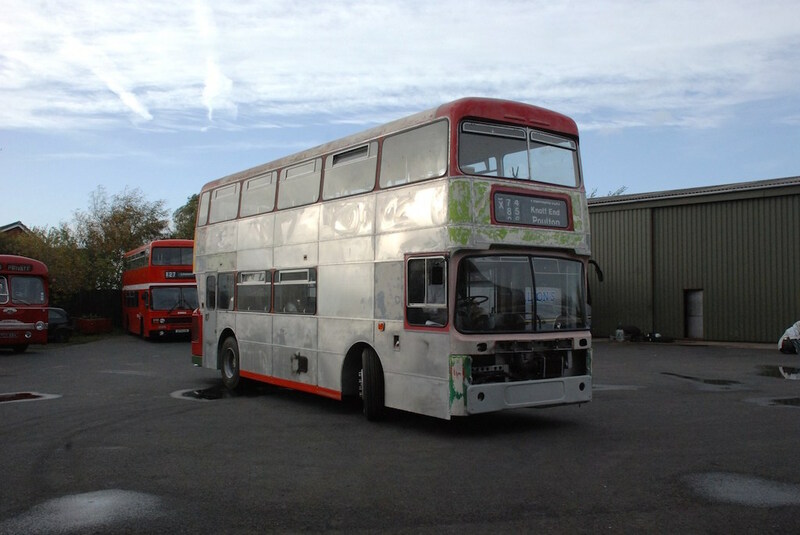 (Ribble also bought others with ECW bodies – see our 1481). Many of the Park Royals were based on Merseyside and 1397 spent most of its life at Bootle depot. Just before Ribble was split in 1986 it moved to Kendal and then Lancaster so it didn’t transfer to the “new” North Western. It was one of the last of its type to remain with Ribble but was withdrawn in 1990 and passed initially to Hyndburn (Accrington) who kept it less than two years. Subsequently it was operated by East Yorkshire, Finglands and then Edwards of Llantwit Fardre before going to a preservationist in Northern Ireland. He subsequently passed it onto Lloyd Cooke Motors. 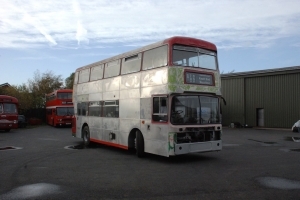 RVPT member Gerard Butler took the decision to bring it back to Lancashire in 2006. When restoration work began some time later it became apparent that it was in poor condition and rebuilding the bodywork has proved to be a massive job. However, by 2015 the work was complete and it is now a regular performer at our events.